Arsene Wenger hints Jackson Martinez’s move Arsenal boss Arsene Wenger has hinted a potential move for Porto star attacker Jackson Martinez, as per Goal.com. 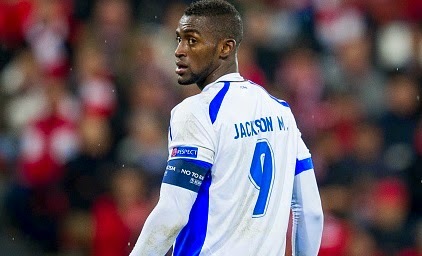 Arsenal boss Arsene Wenger has hinted a potential move for Porto star attacker Jackson Martinez, as per Goal.com. Jackson Martinez has recently revealed his desire to play in the Premier League as he said that he will leave the Portuguese side at the end of the season. Meanwhile, duo London sides Arsenal and Tottenham are already alerted with this news and earlier today Arsene Wenger told that Martinez will be one of the biggest star who will leave his club in the summer window. Porto have been producing top talents for the past years, Ricardo Carvalho, James Rodriguez and Radamel Falcao all developed here before moving to bigger clubs. It has been seen that these players have left for heavy transfer fee. Martinez is going to be the next big player who will leave Porto this summer. The French manager has hinted for his move by admiring his qualities. He told that he has a very effective game style, he could be a very good player in the Premier League. The 28-year-old has been a top player for Porto since his move from Chiapas. He has netted more than 25 goals in every season, making a total of 85 goals in 120 appearances so far. Would be a quality addition!